The Duo Deck is your portable purveyor of the sounds of classic vinyl and the mix tapes filled with love songs you wrote for Samantha Nester in the 9th grade, which she threw back at you through your open Toyota Tercel window when you refused to skip the Saturday Mario 3 marathon you had planned with your friend Cornelius to take her to see Untamed Heart. Ion's portable player is also USB-compatible for both powering and converting your record and cassette content to MP3s. 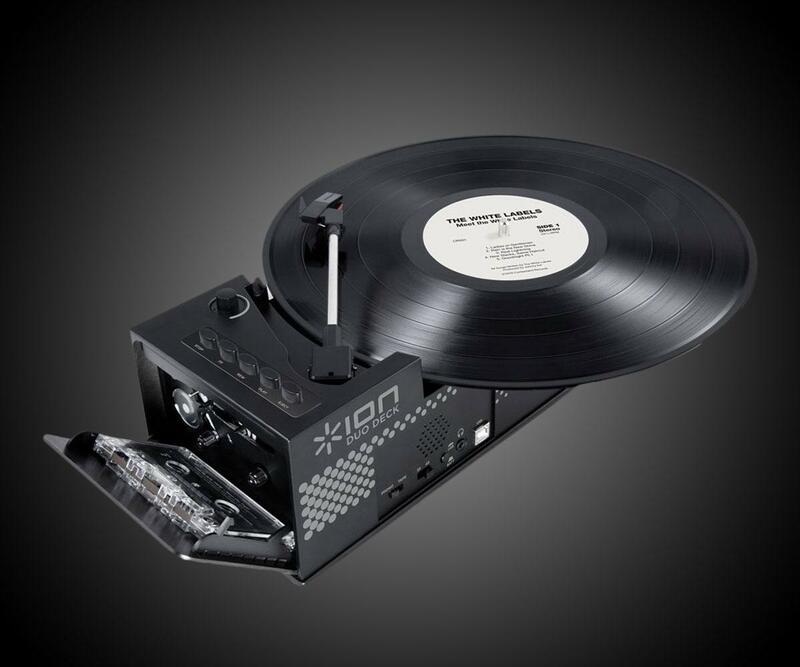 The Duo Deck features a classic turntable on top and a cassette player at its front end. For nostalgia on the go, pop in 4 x AA batteries and jam to the device's built-in speaker. Or use the 1/8" headphone jack to rock out A) like a mouse with your earbuds or B) like an elephant with a connection to your external speaker system. 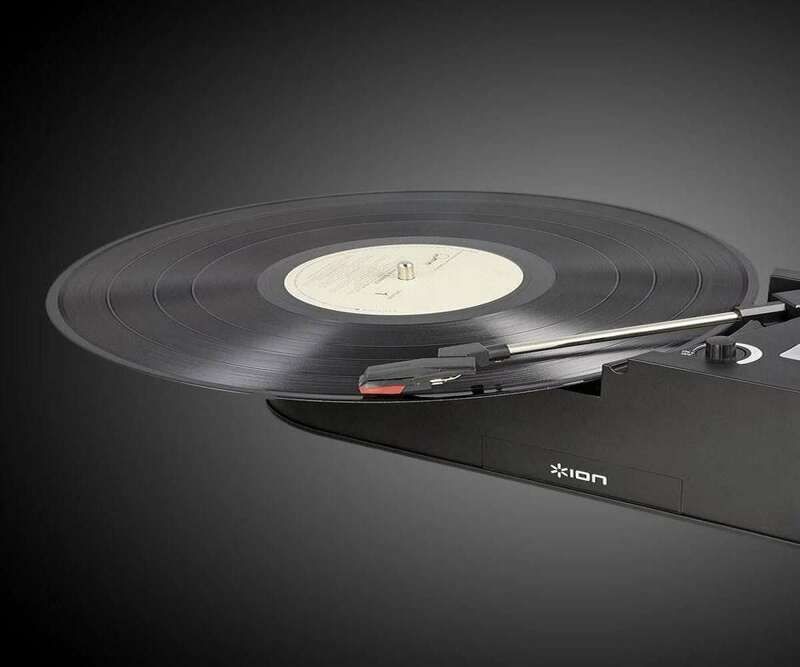 The record/cassette player package includes EZ Vinyl/Tape Converter software.